Click to zoom in on part of phi symbol. This poster shows the phi symbol and the value of phi in decimal to many places. 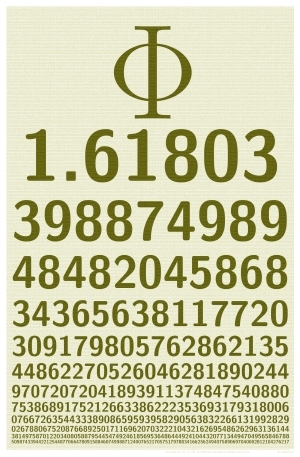 Upon closer examination 350,389 digits of phi are visible. Each line contains 600 digits of phi. The first 439 most digits are visible from a distance. How many lines can you recite? Download PDF and source code for this poster. Price $89.95US plus Shipping & Handling.